I’m so happy to say that 99.9% of my holiday shopping is done. The only thing left on my shopping list is picking up a few things for our mailman, trash collectors and even something to drop off to our local police officers. We live in a small town and we participate in their annual toy drive every year. When we go to drop off the toys we pick up, I like to drop off some treats for the staff and officers too. Typically, I bake cookie or little treats to take but spending time in the kitchen is proving tough with an active baby. So I needed a quick and easy solution that also looked cute. 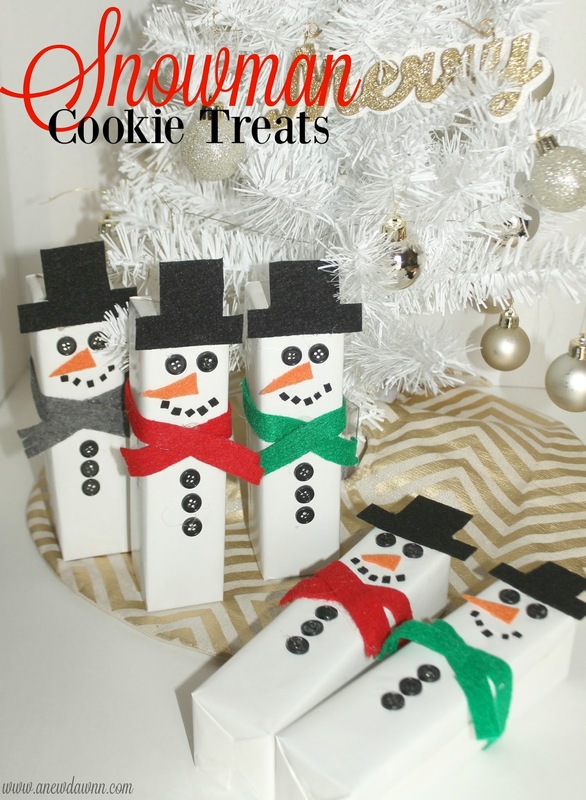 After thinking of a few different options, we settled on these cute little snowmen that are hiding a delicious treat inside. 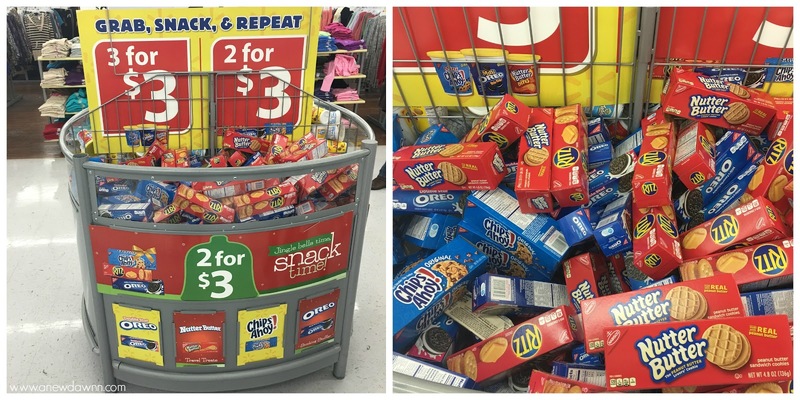 When we saw this bin of snack crackers and cookies when we were checking out in Walmart the other day, I knew these would be the perfect little treat for those we want to say thank you to. We picked up some boxes of OREO Cookies and Double Stuf Oreo Cookies since they’re my son’s favorites. 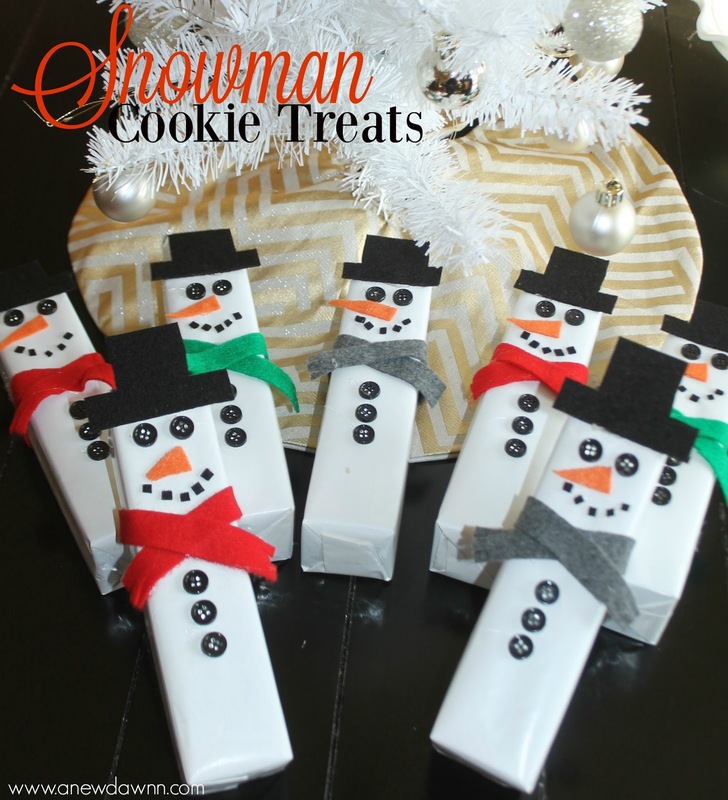 These snowman treats are so easy to make, even the kids can help or decorate the boxes themselves. They make great gifts for friends, teachers and even stocking stuffers! Plus the price can’t be beat! I know my son is hoping to get one or two in his stocking this year. With just a few craft supplies (all the supplies were only $3) and a little imagination, you can create these cute little treats for some special people on your holiday list. Maybe you need a cute teacher gift idea or something for your co-workers. This quick and easy craft is your solution. 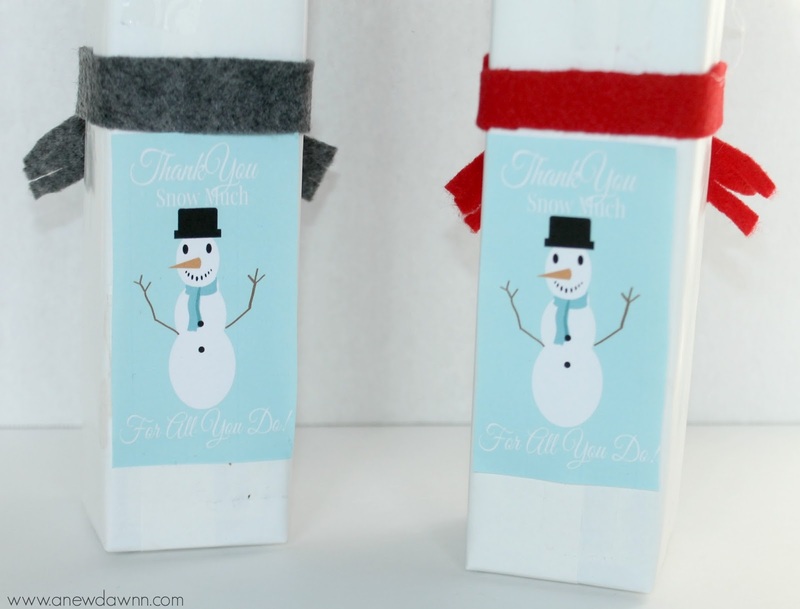 Wrap each box in white wrapping paper. Cut out scarves from the red and green felt and attach one about 1/4 of the way down the box. Secure with some hot glue. Attach the eyes and buttons using the hot glue as well. Next attach the nose and hat. Using little pieces of the black felt, make a mouth. That’s it. 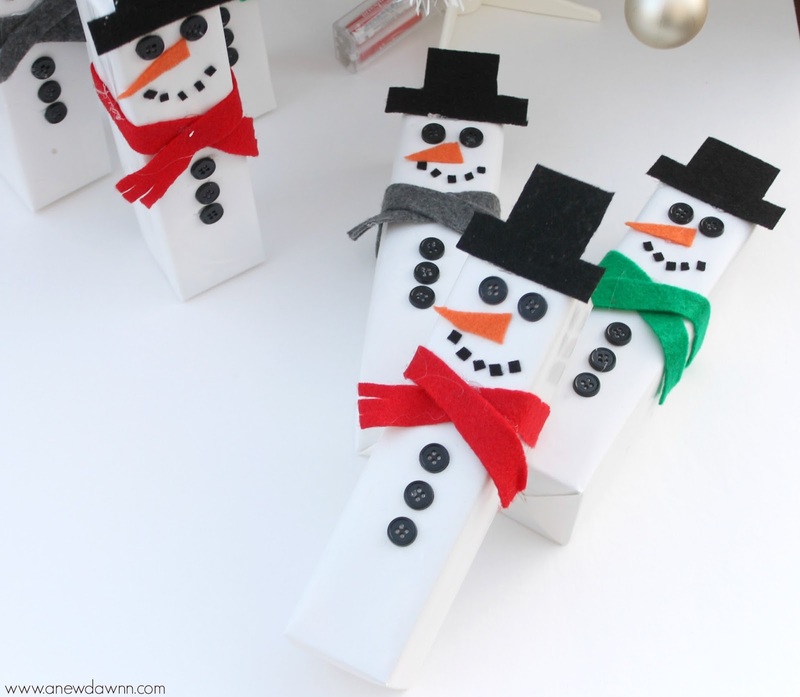 Now you have the cutest snowman gift perfect to say thank you or I’m thinking of you this holiday season. 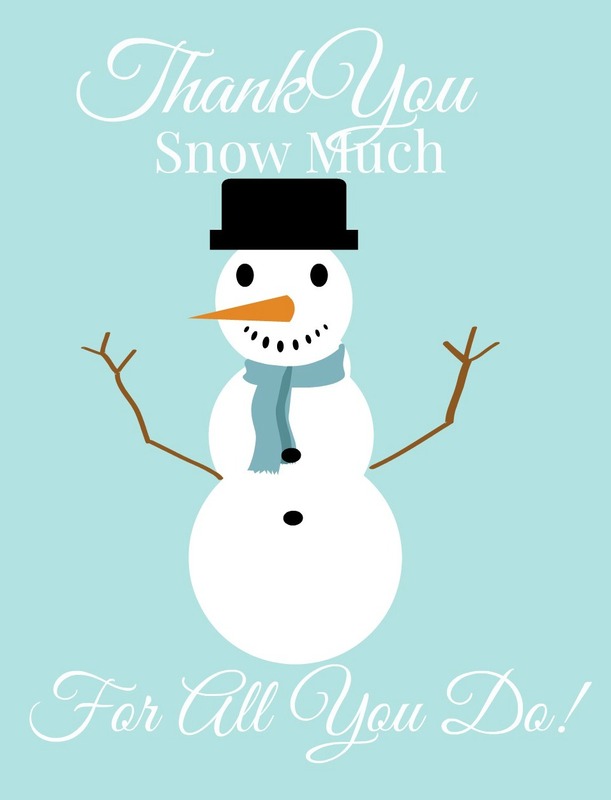 I even made a cute snowman printable to attach to the back of them to say thanks! 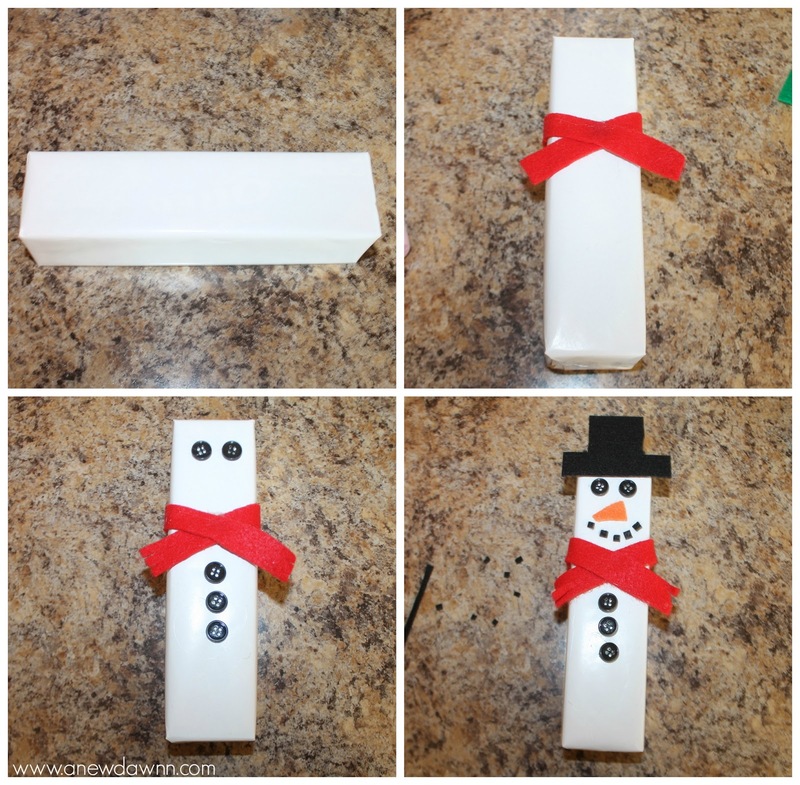 Simply print out the sheet of snowman labels, cut them out and attach them to the back of the box. You could even tie them onto the box if you want. 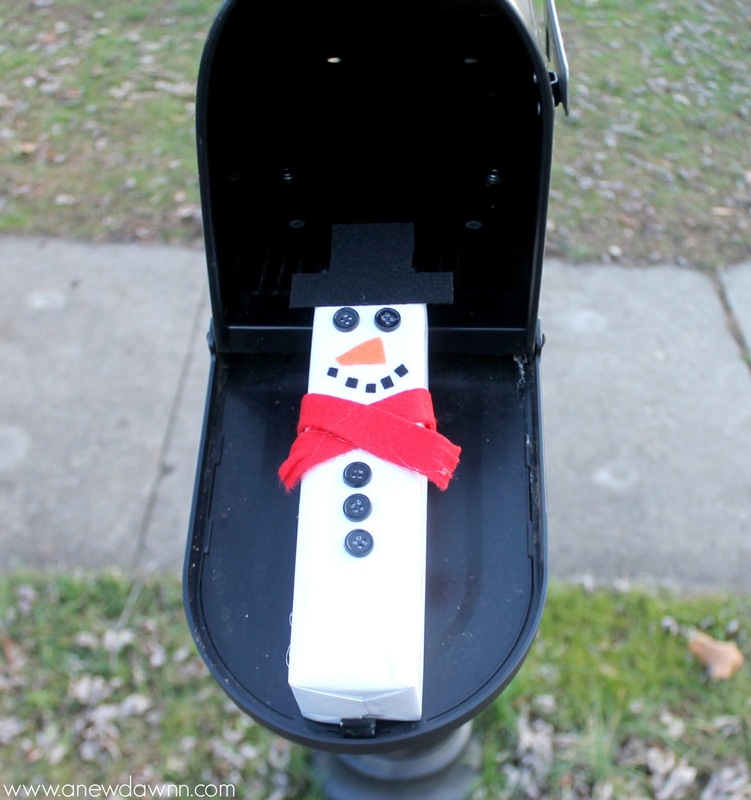 We love how they came out and are giving them out to our mailbox and trash collectors too. Just a little way to say thank you this season. Do you have someone you want to say thank you to on your holiday shopping list that would love this? 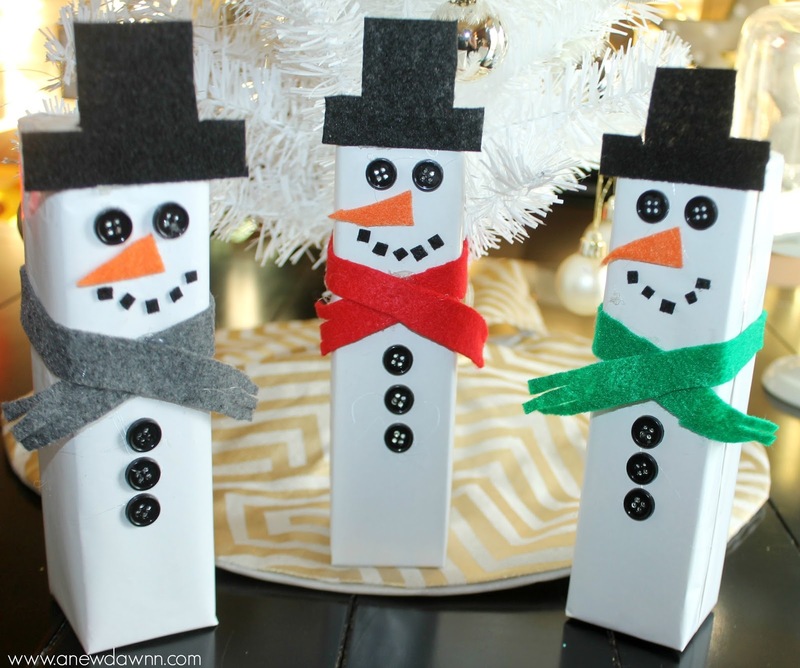 Tell me about in the comments below and “Pin” this craft for later! If you need more creative ideas for stocking stuffers or gifts, check out all the fabulous ideas HERE!